She was probably the sharpest, most experienced, Purchasing Manager we had ever negotiated with. After taking the initiative to write the company’s Master Service Agreement, incorporating all of their business requirements and operating procedures, she was prepared to force any vendor to use it if they wanted to do business. Fortunately for us once we conducted a full review of her MSA, she agreed that it was missing a key piece of information that would have wiped out any SLA’s that we were offering. Even with the most competent decision makers there are pitfalls and traps (some accidental, some purposeful) in contract negotiations that even they may not have encountered previously. With the continued trend towards using an outsourced data center, it has become even more important that end users become more knowledgeable on this subject. A recent study by The Uptime Institute showed that while 63% of third party data center operators reported a “large budget increase” for 2013, only 25% of enterprise data center operators reported a similar “large budget increase.” This disparity should only increase over time as the shift away from on premise facilities shows no sign of slowing. The following are several key decision making criteria that need to be part of a data center contract review process prior to acquiring new data center service. While not a comprehensive list, this should help to highlight some areas of chief concern. All SLA’s are not created equal. While they may provide for 100% uptime, the most important factor is the amount of credit that you will receive in the event of an outage. Credits typically fall into one of 3 categories; temperature, humidity and power, each with its own criteria. The amount of each credit issued can range from one day of credit per outage to a pro-rata share of the daily expense. Outage credits are sometimes capped at anywhere from 5 days to 1 month, so review this carefully. The enterprise should also be familiar with its options for termination after repeated outages and if those outages need to be of certain duration to qualify. It can be difficult to accurately compare pricing between different providers due to the fact that in many situations you find that the pricing models used vary from provider to provider. Pricing models used by data center providers typically fall into one of three categories; Full Service Gross (FSG), Modified Gross (MG) and Triple Net (NNN). Here is a brief comparison of the advantages and disadvantages of each of the models. [subtitle] Full Service Gross (FSG) [/subtitle] The provider takes care of all operating expenses such as building insurance, real estate taxes, security, etc. Benefits – Easy to pay number, customer fixes their costs. Disadvantages – Base rent looks high because all costs are included. The provider takes on inflation risk unless annual increases are included. [subtitle] Triple Net (NNN) [/subtitle] The provider passes through all operating expenses such as building insurance, real estate taxes, security, etc. to the customer based on their pro-rata share. Benefits – Provider reduces inflation risk, base rent looks lower. Generally applies to larger size deals. Disadvantages – Customer doesn’t get fixed costs and are subject to unexpected cost of repairs and property upkeep. [subtitle] Modified Gross [/subtitle] The provider, is responsible for the major expense items (taxes insurance, etc.) but the tenant is responsible for their directly related expenses (power). Benefits – Providers and customers share the inflation risk, base rent looks lower than FSG and higher than NNN. Disadvantages – MG is harder to administer. Landlord takes on the risk for variable costs. Works well for Turn Key datacenter space. Clients should always ask for and negotiate for renewal options with any new data center contract or lease. While you may never have to exercise your option it is important to have it available. You can negotiate for one or more options. It is always best to obtain as many options as possible as you do not have the ability to back and negotiate using the same rates without an option in place. A typical renewal might have one or two options, each for 3 additional years with a guarantee of rate 103% of the base rate for the last year of the previous term. One final note, you need to be mindful of any required extension option exercise notice’s that may be specified. You will need to submit this as a written request, usually within 9-12 months prior to the end of the initial term. Failure to do so will void any remaining options you were offered. If you’re evaluating colocation and researching data center options you need to be fully informed. Fibertown has created a comprehensive checklist that Randall Cobb Authentic Jersey will make sure you ask all the right questions. From Randall Cobb Jersey power and networking to facility design and support services, you’ll learn how FIBERTOWN stacks Randall Cobb Kids Jersey up against the rest. Data Center Relocations – Getting out Alive! A data center relocation is Jordy Nelson Authentic Jersey often a complex and daunting task that many IT executives simply dread. 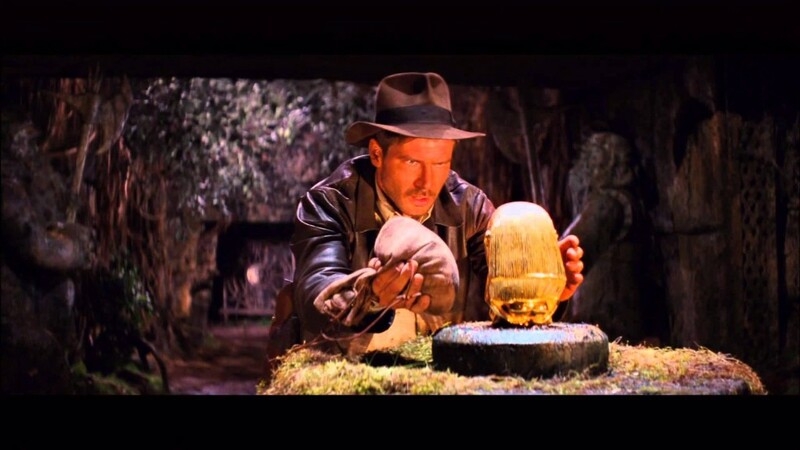 One responsible for the success of a move that is being considered may have nightmares that resemble the memorable Raiders of The Lost Ark scene where despite all his study and planning, Indiana Jones retrieves the golden idol but moments later realizes he made a mistake in his planning and the site comes tumbling down. There surely are many traps to identify and avoid with the physical move logistics, network re-homing, bandwidth sizing, power and cooling requirements, maintenance windows, hardware refresh/reconfiguration and the almost certain “unexpected” category. On top of all this if one is moving out of a colocation site there is quite often a complex gauntlet of commercial and legal details to be measured and dealt with. A thorough assessment of the physical, logical and network Jordy Nelson Jersey environments will pay dividends in assuring you are being efficient and effective in the overall migration planning and actual “go-time” move. Even a well-managed environment may still have a few of those “we aren’t sure exactly what is running on that” type of pieces. Building up a clear picture from the ground up, from the top down and from side to side with multiple eyes giving checks and balances may to some feel like overkill and Jordy Nelson Kids Jersey laborious. However to those that have been through the pain of an under-planned migration making sure the environment and all its pieces are absolutely documented and measured is unquestionably an absolute must coming out of the starting gate. Once you know exactly what the environment is in its current state, preparing the organization, not just the IT team, for the move and the changes it will bring is critical. Clear, organized communication is the key ingredient to getting this right. A migration team for a move of any complexity requires plenty of external components and resources. “Communication with both your reseller/integrator and the equipment manufacturer is key to avoiding the pitfalls of equipment damage and failure during the move. Many manufacturers require a notice prior to moving major pieces of equipment. This is necessary to retain warranty status and updated records if replacement parts are needed because of damage during the move. There are even some who require diagnostics be performed both pre- and post-move”, says Butler. “Insurance is critical and there are really three different documents you may need. For example – If you are moving from one colocation environment to another both the data center you are leaving and the one you are going to will require certificates of insurance from any company who will access their premises. This includes the movers, the company assisting in teardown and installation and of course your company. And don’t forget to verify the moving company has enough liability insurance that will cover the entirety of what they are moving for you. Peter Morris, a Principal at Clark, Duncan, Morris [icon name=”linkedin” size=”18px” link=”https://www.linkedin.com/profile/view?id=63322503&authType=NAME_SEARCH&authToken=THV7&locale=en_US&trk=tyah2&trkInfo=tarId%3A1410446114368%2Ctas%3Apeter%20morris%2Cidx%3A1-1-1″] (www.clarkduncanmorris.com); a corporate move and data center relocation specialist, has plenty of good advice on this topic. “When making selections of your partners and providers, it is VITAL you check references, and verify that this type of program or event has been done before and the client was pleased or can offer you industry peer feedback. Not everyone is good at everything. So position your team to their known strengths and shore up any shortfalls in experience or talent. Kevin Knight [icon name=”linkedin” size=”18px” link=”https://www.linkedin.com/profile/view?id=10014302&authType=OUT_OF_NETWORK&authToken=SZJY&locale=en_US&trk=tyah2&trkInfo=tarId%3A1405561342186%2Ctas%3Akevin%2Cidx%3A1-5-5″], Vice President of Consulting Services for Jordy Nelson Womens Jersey Kiamesha Global (Jordy Nelson Youth Jersey target=”_blank”>www.kiameshaglobal.com) has been involved with hundreds of migrations into and out of facilities from both the customer and service provider perspective. “The logistics of a move alone can be a full time job. There will also usually be some level of technology refresh that will also take place concurrently. A refresh will frequently require a redesign of racks, low voltage wiring, power and cooling. As a result strict timelines will need to be established as much as 12-24 months in advance. Holdover – This can be employed if you are unable to surrender the space at the end of the term. The provider may allow you to stay in your space for a limited time after end of term at a significantly higher rate. Method of surrender – Generally addresses that the space be left in working order and clean condition, ordinary wear and tear excepted. Extension Options – Can provide one or more contract extension periods, typically from 12-48 months. Possibly at a rate agreed to at time of contract execution. From running a global, provider neutral communications agency since 1997, TeleSource Communications (www.telesourceinc.com) President Adam Myers [icon name=”linkedin” size=”18px” link=”https://www.linkedin.com/profile/view?id=2673408&authType=NAME_SEARCH&authToken=49Nj&locale=en_US&trk=tyah2&trkInfo=tarId%3A1410446063626%2Ctas%3Aadam%20%2Cidx%3A1-1-1″] fully understands the network pitfalls in these situations. “A Datacenter is different from any other commercial property when it comes to network connectivity in that it is typically the one location that has an abundance of service provider options pre-wired with fiber due to its heavy consuming customers or tenants. With that being said, the Datacenter can be the most difficult place to install said services due to a laundry list of physical access control policies, internal wiring/infrastructure design requirements and unique responsibilities to complete each individual piece of the puzzle resulting in a green light for a customer. In this relatively short piece we’ve reviewed some critical items at high level but of course there is much more to consider. For sure it is clear that the best approach to take is to avoid short cuts and lack of attention to detail. Moving data centers can absolutely be managed with a great deal of success but it does take some real effort. Indiana ultimately made it out on the other side with his prize after avoiding all the traps – however he still failed to keep it out of the hands of his competition. That issue however is for another day and article! Author Todd SmithPosted on September 11, 2014 September 15, 2014 Categories Industry PerspectivesTags bandwidth, colo, colocation, data center relocation, IT executivesLeave a comment on Data Center Relocations – Getting out Alive!